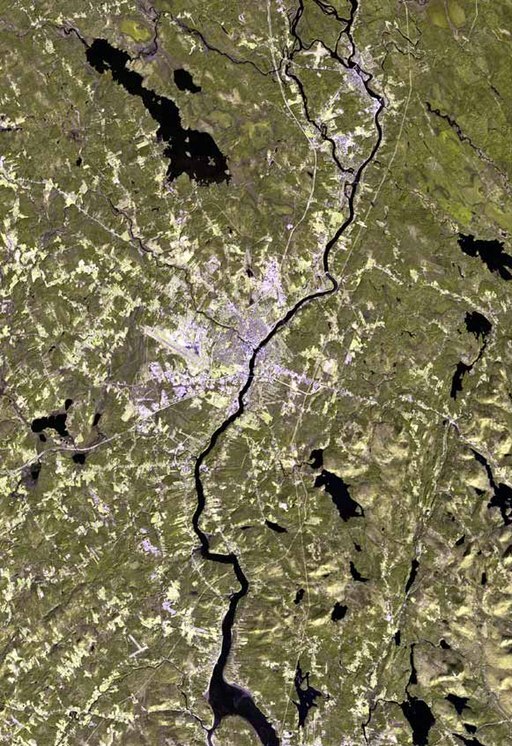 Satellite image of Bangor, Maine (USA); previously a common destination of SCP-4070-1 instances. Special Containment Procedures: Any autonomous automobile discovered to be converging upon SCP-4070-A is to be intercepted and shut down. Foundation agents embedded within groups producing autonomous automobile guidance software are to inject code preventing SCP-4070-A recognition by their relevant systems. MTF Tau-58 "Plymouth's Fury" has been established to intercept SCP-4070-1 instances. It is to maintain a 1km perimeter surrounding SCP-4070-A at all times. Description: SCP-4070 is a phenomenon wherein affected autonomous automobiles (SCP-4070-1 instances) ignore user input and instead converge on SCP-4070-A. SCP-4070-A is the target of SCP-4070-1 instances. Current calculations indicate that upon startup, an autonomous automobile has a (100/e^x)% chance of becoming an SCP-4070-1 instance (where x equals the distance between the automobile and SCP-4070-A in kilometers). SCP-4070-1 instances will travel in a straight line1 toward SCP-4070-A. Due to the relative scarcity of self-driving automobiles until recently, it is unknown when SCP-4070 manifested. However, due to the history of SCP-4070-A, a starting date of ██/██/1983 has been proposed. Addendum-4070-1: Discovery Log: SCP-4070 was discovered when a [REDACTED] brand self-driving vehicle in ████, England experienced the effect of SCP-4070 upon starting, driving into the ocean and killing 3 passengers. Analysis of the car's data found that its safety measures had been disabled and it was driving towards GPS coordinates corresponding to a point in Bangor, Maine, USA. This was later confirmed to correspond to the exact location of SCP-4070-A at the time. Later tests confirmed anomalous properties of SCP-4070-A. Addendum-4070-2: On ██/██/1999, SCP-4070-A was involved in a human-on-vehicle collision, sending SCP-4070-A into a nearby ditch. SCP-4070-A suffered a fractured hip, multiple fractures to its right leg, and a collapsed lung. Following a comprehensive Foundation investigation into this incident, it was determined that SCP-4070 was uninvolved. Addendum-4070-3: On ██/██/2019, a space rocket fired by the ██████ company in 2018 with a █████ brand vehicle onboard was confirmed to be undergoing a travel path unintended by the ██████ corporation. Instead of travelling to [REDACTED] as intended, the space rocket used its remaining fuel to change course towards SCP-4070-A. Current projections indicate this will result in a direct collision with asteroid-41970-A455 and is not expected to pose a threat to human life. 1. Relative to the curvature of the earth.